Shreya Ghoshal recently tied her knot with her childhood friend Shiladitya Mukhopadhyaya. For all those who are wondering, who Shiladitya is, he hails from a popular technology background. 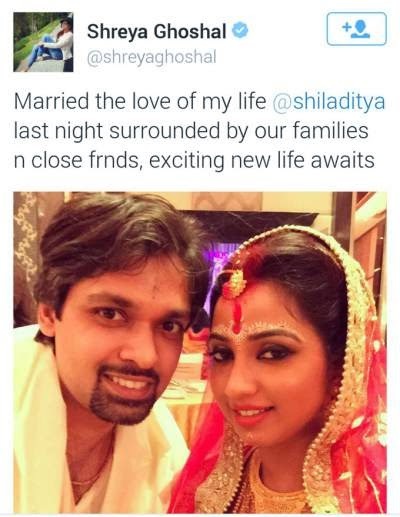 Shreya Ghoshal and Shiladitya Mukhopadhyaya posted their marriage photo selfie online which went viral to their fans. It was the old traditional Bengali marriage ceremony attended by their close relatives and family members known to them. The wedlock ceremony was held in Mumbai where both have their families residing with them. 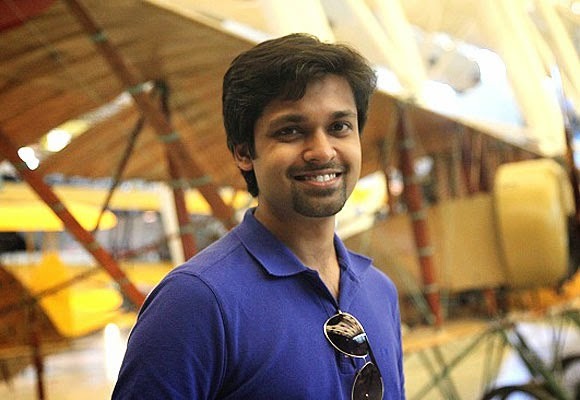 Shiladitya, an Electronics Engineer by profession and known to be a tech enthusiast since his college days. He obtained his degree from University of Mumbai and later started his own career as an Entrepreneur. His first startup was Rasilant Tech which is focused on latest technology updates for their clients and providing them unique solutions through various sectors of market promotions. He is the founder of an app called Hipcask which gives people information about various wines, whisky and beers. As of now, he is concentrating more on developing apps and working on various projects of his group Rasilant Technologies. It is learned that both Shreya and Shiladitya were dating for years and years since their childhood times until they finally decided to tie their knot for a happier life ahead. After their ceremony, both were seen in a cute little pic that gave enough hint to their fans that they were finally married. They dated each other since they landed in Mumbai about 12 years back and came into an official relationship only 5 years back. Initially Shreya tweeted that she was quite nervous and at the same time excited for the coming time and asked for blessings from their fans. Little did her fans know it was all about the secret wedding that would be taking place! Finally she tweeted with the pic saying she marriage his long time boyfriend and beau Shiladitya in a private affair marriage ceremony. Indeed many of us and their fans held to some shocking news but it was never too late to declare the same! Both will be holding an officially party for all their close friends and media which will see them come together once again in a ceremony in Mumbai. But you should keep some understanding.. Ch..
best couple in the world. Very bad matching couple in the world. chasma lagwane ka time aa gaya hai..
Bahot lucky ho yaar Shiladitya Mukhopadhyaya shreya ji congratulations ,Shiladitya ji aapko bhai . Congrats to Shreya and Shailadiya.. Happy married life..May God bless you both.. Lo....isko bhi chasma lagwane ki jaroorat hai..
What made you think of this they don't match each other..we obsessed with beautiful with handsome but why can't we think of a other moderate good looking guy..
Our comments are remaining as such without response. Hence we are discouraged to convey our feelings. No use of recording comments when these are remain uncared and perused. Shiladitya is not viewing and replying.There is no necessity of having this page in site. Better to remove it. Since no body from Mukhopadhya or GHOSHAL side is acknowledging or replying it is mere fun and waste for seeking comments. it is better to wind up such site. Hoping my earlier comment will attract the attention, we expect reply at the earliest. Shreya husband is not so handsome....!!! Happy married life shreya ji God bless you..